Asleep upstairs, the Clinton family was awakened by their barking dog and smoke alarms to find their front door ablaze. Fortunately, everyone was able to escape without injury, though their home sustained an estimated $200,000 in smoke damage. While insurance should cover the cost of repairs, the family suffered a far greater loss that night: their sense of security and belonging in their own neighborhood. While they’re exploring all possible motives, police suspect this crime was racially motivated, as the Clintons are one of the few African-American families in the community. The Clintons questioned whether they should move away. Upon hearing the details of crime and that the family was considering leaving, a concerned neighbor, Peter, took to Nextdoor to alert the rest of the community and rally support for the family. 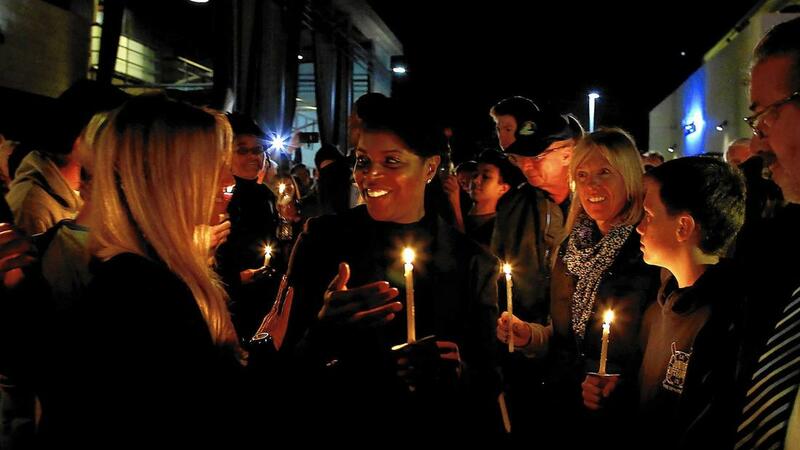 More than 700 community members showed up to the candlelight gathering in support of the Clinton family. Photo courtesy The Los Angeles Times. The response was overwhelming. Peter set up a fundraising site to raise money for an award to catch the suspect who committed the crime. In less than 24 hours, the community raised more than $25,000 for the Clintons. But they didn’t stop there. The community organized a neighborhood candlelight gathering this past Friday night to stand in solidarity with the family. Hundreds of neighbors turned out. Thanks to Nextdoor, Peter was able to rally the entire community to offer their support for their neighbors – physically, emotionally, and financially. Moved by the community’s outpouring of love and support, the family plans to stay in the neighborhood. As reported by USA Today. Love to hear stories like this one. thanks.